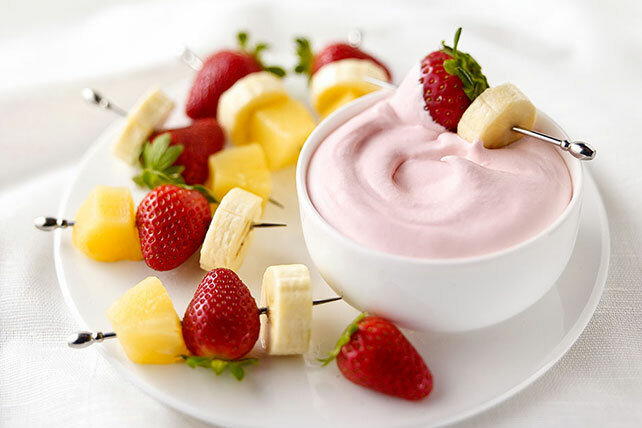 Blend vanilla low-fat yogurt and low-calorie drink mix for a refreshing Lemony Dip. Serve this Lemony Dip with fruit, for parties or just snacking. Garnish with lemon zest and fresh mint before serving. Serve with cut-up fresh fruit and/or angel food cake cubes.